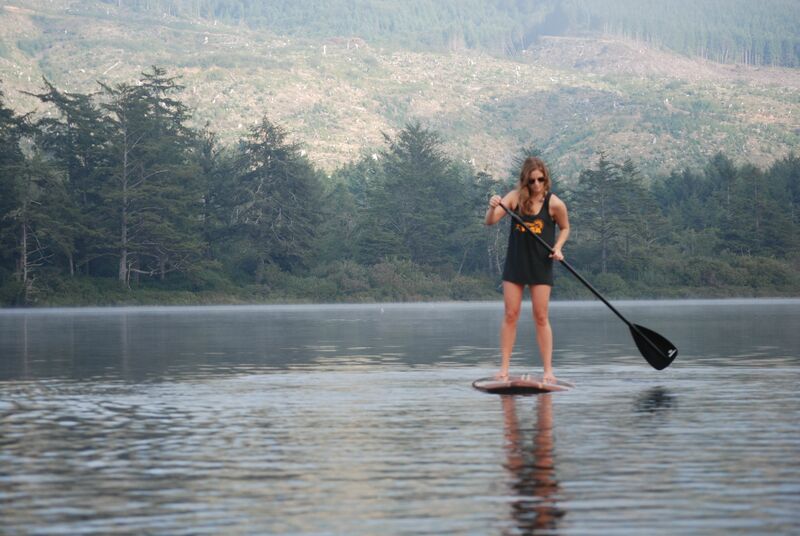 Love paddle boarding, but don’t think you live in the “right” place to enjoy the SUP lifestyle? Nonsense. You don’t need to ride the surf to put a grin on your face. No matter if you’re a newbie or seasoned pro, just grab a paddle, a board, and hit the water, wherever you are. You don’t need to drive for hours to the beach. Just create the ideal paddleboard experience wherever you are now. Head off to a nearby lake or calm river that you’ve probably been overlooking, launch your board onto the water, and just take in the scenery. It’s a great way to escape into your thoughts and enjoy the beauty of your handmade board without having to go too far. The San Francisco Bay is a wonderful place to be swept into the rich culture and tall buildings. Once you get out onto the surrounding water vacation mood will soon follow. The magical Golden Gate Bridge is the place to go and easy to do while traveling the downwind route. Any kind of boater will say “This is a place that needs to be on your bucket list.” This area provides areas for surf as well as flat water. Hood River, Oregon is a great place to come paddle throughout the year, however the best time to experience the most S.U.P culture is at the end of August when the Naish Columbia Gorge Paddle Challenge is happening. This competition takes place over two days with fun challenges for both children and adults. Then it is the Pros turn on the second day with a four mile down winding race. There is two exhilarating put-ins that both are fun especially when notice all the other people on the river with you. Watch out for the barges! The nearby Upper Kikitat River in Washington gives you more exploration and a chance to practice some class III and IV rapids. Enjoy a great paddle while taking in the view of downtown Milwaukee, Wisconsin. Lots of parking in the marina gives easy access to the protected area of the harbor. From here you can choose to chat with other boater in the harbor or go south out onto the lake. This is where you will see the Milwaukee Art Museum and at the end come to a pretty manmade lagoon. The farther north away from Atwater Beach the water is more clear allowing you to explore two shipwrecks. The weather could change at any time on these Pacific Ocean islands, however the paddle board seems to be the idea carrier with all Hawaii’s weather. Always have your paddle with you for control in the wind and a great advantage during wind light days. Distance paddlers can use the nearby islands for conditioning. For everyone else this craft is great for fishing. Enjoy every sunset! Happy Paddling Wherever Paddling Takes You. DO YOU HAVE A PADDLE BOARD OF YOUR OWN? WANT TO ADD ANOTHER TO YOUR COLLECTION? CHECK OUT OUR COLLECTION OF BOARDS HERE.